Originally this was meant to be two separate posts, however a family emergency in mid-November pushed everything back a week... I want you to have enough time to order things for Christmas, so I've lumped my human and hound gifts together! My luxury gift post will also be up at the end of the week, as I'm aware we're cutting it fine for Christmas. This will likely be a long post, so grab a cuppa and a biscuit, and settle in! Of course, the dogs have got lots of toys and treats for Christmas! I just thought in this post I'd show you a few bits that are a little different. The first item on our list for dogs, is a travel-sized snuffle mat that we were recently sent. I absolutely love these mats, and so do Archie and Winnie. So much so, that I actually have several as they fight over them! This new travel size is super handy for taking away with you; it looks large in this photo as Archie is so diddy, but you could easily pop this in a tote bag and take it along on trips. Sprinkle on your treats, ruffle up the fabric, and your dogs have an instant enrichment game. How about a beautiful chunky rope lead from Land of Dogs? We were lucky enough to receive one in festive red and green! The rope is lovely and soft, and I think the bright red whipping is a fab addition. 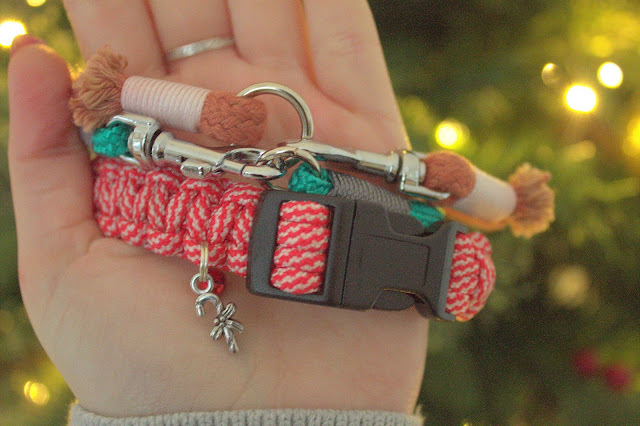 The lead is perfect for slightly larger dogs especially, and will get lots of use year-round with my parents' dogs too! These personalised blankets from Ruby Spaniel Designs are so adorable! 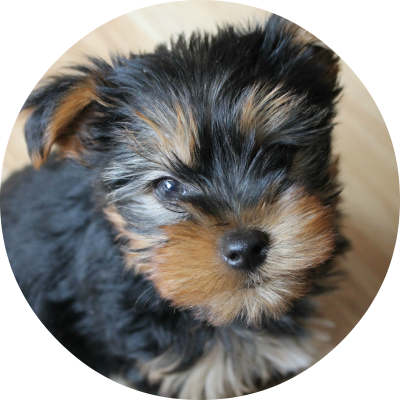 The best part is that there are so many fleece colours and breeds to choose from, and the colour of the dog can even be changed to suit the colouring of your own pampered pooch! Ann also makes harnesses and other lovely bits and bobs, her website is well worth adding to your Christmas shopping list. Lastly for the dogs, we have some goodies from House of Henry! How adorable is the little present sack?! All of Archie and Winnie's presents are already wrapped up inside, I can't wait to get them all out on Christmas morning! I just love how the sack can be personalised, it's such a cute keepsake. In addition to the sack, we were also lucky enough to receive some adorable Christmas bandanas... you best believe Archie and Winnie will be turkey testing at Christmas! House of Henry have a huge selection of items, so make sure you head over there asap; their final Christmas posting date is fast approaching. We even have our own discount code to share with you; type CAWXMAS2017 in at checkout. As before, there are lots of "obvious" gifts that are fab for dog-lovers at Christmas. For example, I know that I'm receiving several dog-themed mugs and at least one sweatshirt this year (and I can't wait!) I thought I'd share a few gifts that you might not have thought of. My first gift for humans, is this beautiful engraved wine glass. This was super hard to photograph, but I hope you get the general gist! This was made by Alsorts Arts and Crafts, and makes such a wonderful gift. I asked for my dad's black lab, Tilly, to be engraved onto it as he lost her back in June. You can tell instantly that it's her, the detail is amazing. I really think he's going to absolutely love this, and I just can't wait to give it to him! Just look at this amazing wash bag! This was very kindly sent to us by Penny & Ivy, and features custom drawings of Winnie and Archie! How fabulous to have your own pets on a gift. There are several pouch styles in the shop, from project bags to poo bag holders. I will probably use this pouch when we take the dogs away: it's a great place to pop treats etc, or even spare collars and bows for photoshoots! (Life of a blogger's dog, eh!) I'm hoping to revamp the blog in the new year, and will likely be going to Lucy for some illustrations of the dogs... I just love them! Last, but by no means least, I'd like to share this stunning needle-felted portrait of Archie that was sent to us by Heartfelt Pawtraits. When it arrived, I honestly couldn't believe how beautiful it was. Not only does it look just like Archie, but Lissy has managed to capture his character too. I know that had I received this as a gift, I'd have been over the moon with the thought that had gone into the purchase. This is the perfect present for a dog-lover who has it all. Have you found this post useful? I hope so!